On April 23rd, a kindred spirit will be remembered and celebrated on his birthday. Strangely, it was also the date he died, some four centuries ago. I call him a kindred spirit, because he was a fellow writer and poet, who acutely understood human nature and was able to articulate masterfully, the same. He fathomed, that whether a pauper or a king, all lives are filled with sorrow and joy, pleasure and pain, jealousy, scheming, and hatred, and love that is capable of being transformative and blissful, or incredibly destructive. This eternal spirit understood that regardless of time, place, or generation, all the world is a stage, and we mere players. This kindred spirit is William Shakespeare. 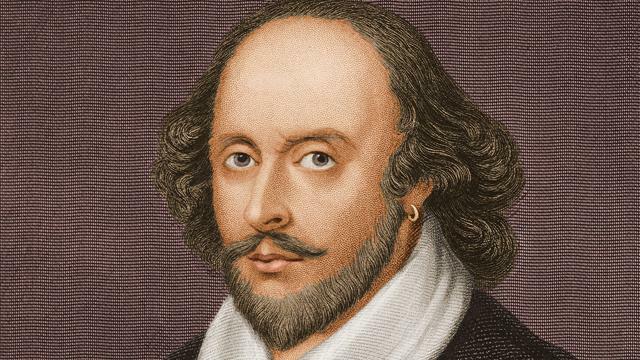 Most people know Shakespeare as a playwright, who produced such classics as Romeo and Juliet, The Merchant of Venice, Antony and Cleopatra, and Macbeth. Despite his fame, then and now, William Shakespeare was first, a man who drew his subject matter from his own life experiences, and heart, as well as the cultural and political landscape of the tumultuous times in which he lived. His body of work includes 38 plays, 154 sonnets, and other poems. These were composed in less than 25 years, and what is absolutely amazing, he used between 25,000-29,000 words. By comparison, the King James Bible uses approximately 6000. In the 52 years he lived, William Shakespeare observed much. Queen Elizabeth I ruled England for 45 years in the late 16th century (1558-1603), which comprised the majority of the bard's life. Elizabeth was one smart broad. She believed in the divine right of Kings and Queens, or stated differently, God-Almighty proclaimed her ascension to the throne. She was brutal when it came to challenges to her power, exemplified by Mary Queen of Scots, her cousin, being whacked for treason. It was also the age of censorship, and a playwright could find himself hung (or worse) for displeasing Her Majesty. Like a good writer, he understood the primary rule of prose and poetry, "know your audience". He tailored many of his plays to be favorable to the monarchy. The yang to Elizabeth's yin, was where England had previously looked to the European continent for guidance in literature, fashion, and drama, she brought these home to fashion them inclusively within English society. Latin was the language of choice in the public schools, (the need for professional trades in an increasingly secularized society required schools for the sons of the gentry that were independent from ecclesiastical authority and open to all. From the 16th century onward, boys' boarding schools were founded or endowed for public use. Traditionally, most of these public schools were all boys, and full boarding), and Elizabeth was a big patron of the arts, supporting and encouraging England's musicians, poets, and playwrights. One of these individuals was William Shakespeare. Born in a quaint village, Stratford-upon-Avon, he married a hottie named Anne Hathaway, a farmer's daughter. His nuptials were on a Midsummer's night in 1592. Their union produced a daughter, and a set of fraternal twins, one of whom died at the age of 11. Shakespeare's dad made gloves, and I can only imagine what a true artist might have viewed, a life as "Glovemaker, Jr", something akin to a death sentence. In school at Stratford-upon-Avon, the young bard was taught grammar, rhetoric, and composition-all in Latin. It was during this time, realization came, that he had a gift, which he proceeded to develop. By 1592, Shakespeare was known in the London theater community as a principal actor, playwright, and a manager of a popular acting company, called Lord Chamberlin's Men. This was later changed to The King's Men, upon James I taking the throne upon Elizabeth's death in 1603. In a strange twist of fate, much like me, tragedy played a hand in turning Shakespeare into a poet. The Plague kept recurring in London, and the Queen closed all theaters from 1592-1594. Shakespeare packed his proverbial satchel, and relocated to the country, writing poetry under the patronage of the Earl of Southampton. Back then, poets were more revered, and could actually earn a living. It is during this time, that Shakespeare wrote many of his famous sonnets. This was poetry abounding with images of nature, such as farming, hunting, and folklore, things that represented the landscape of his life at the time. Five years after the reopening of the theaters, post-contagion, Shakespeare acquired his own stage. While The Globe was London's most prestigious playhouse, it was a madhouse during performances. Picture traditional theater, the circus, and a WWE wrestling event, and this is what a visitor for a performance could expect. The Globe hoisted flags to denote the type of play being performed that day. A white flag was comedy, a red one was 'historical', and a black banner represented tragedy. Plays were usually three hours in duration, and performed between 2-5 PM, when the weather was most advantageous. The Globe was a 3-story, open-air structure, with stage, being...well, center stage. All performers were men, with boys used for female roles. The Lords and gentry paid the highest ticket prices, and sat on cushions in the exclusive seats above the stage, while schmucks like me were relegated to standing at ground level, around the stage. Beer was sold (and generously consumed), as well as fresh vegetables and nuts, which were propelled (after several beers) at actors deemed underperforming. Elizabethans liked a good play, and they also liked spectacular stage effects. In fact, it was a prop cannon fired during the initial performance of Henry VIII during 1613, which caught The Globe on fire, and burned it to the ground. It was at this point, the world's greatest bard, returned to live with his family in Stratford, where he died three years later, and was buried at Holy Trinity Church. May your Maker grant you eternal test, Prospero. You certainly earned it. At this point, you may be thinking to yourself, what a nice history lesson but why on Earth is a bank robber in prison, blogging about Shakespeare? The simple answer to that, is 'because I can'. It's my blog. However, the less cocky answer is deeper. The real reply is about one simple, unknown storyteller, paying his respects to the master; about a birthday blog from one bard to another. As I write this blog, I am sitting cross-legged in my cell, on the top bunk, with a writing pad perched atop my lap, deep in the bowels of a lock-up, in a Federal penitentiary in southern California. I am wearing a crisp white t-shirt, 3/4 long orange shorts, and no socks, with a rosary around my neck made of green plastic beads, with a white cross on the end. 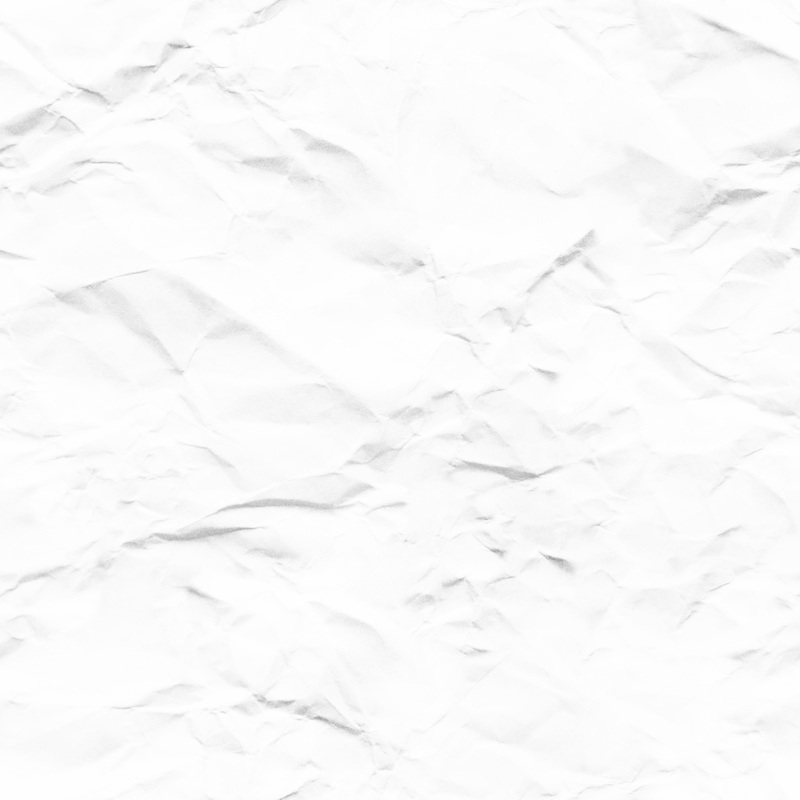 (My friend and potential future co-defendant, Alexius Rex, was kind enough to transcribe this blog, to spare you the agony of deciphering my illegible scrawl). My cellmate who is of dubious origin and heritage, and somewhat BanQuo-esque, has not so much brain as earwax. His name is Timmy, and he has several aberrant proclivities, one of which is picking his nose. Everytime I catch him doing it, we'll lock eyes, and I bark, "Stop that right now, Timmy!!!" He'll yank his pudgy digit out of his snout with a "pop", and a visage as though he'd been caught stealing. So yes, it would appear to be a strange time to write a blog about Shakespeare. But not really. Although he died some 400 years ago in Stratford-Upon-Avon, and it is now 2014, and I live in Prison-Upon-The-Rock, a recovering robber, and Shakespeare was anything but a highwayman, at our core, we're both writers and poets. Like the Bard, but in a less-talented way, I use words to draw from the landscape of my life, to pen my tragic comedies, and entertain the world, making you forget the stress of your own lives for a while. Whether 16th century English society or 21st century American prison, all the world is a stage, and we merely the players. And look upon myself, and curse my fate." Happy Birthday William Shakespeare, and thank you. The key to this meal is even distribution. You have to separate all of your ingredients into fours to make sure that all of the pizzas are uniform. First, lay out your crusts and pour olive oil onto the crust and then sprinkle black pepper onto it and message the oil into the crusts with your hands. You can purchase a traditional white or wholewheat crust, or you can take soft tortilla shells and wet them and shape a crust out of them. I would recommend this for people who like thin and crispy crusts. When you've finished messaging the olive oil and black pepper into the crusts, slide them into the microwave one at a time and heat them up for 45 seconds. When you take them out of the microwave, place them on the counter in front of you and generously apply sauce to the crusts taking the back of a long-handled wooden spoon and rubbing the sauce into the crust in a circular motion...as you ask God for help in making these pies (remember, this is Paschal Pizza). Next, conservatively sprinkle garlic salt over the top of the sauce. After you've finished sprinkling the garlic salt onto the sauce, cover the entire area of the crust with the slices of pepperoni. If you've done this correctly you should only be able to see the edge of the crust and see tiny patches of sauce sticking up between the circles of pepperoni. Now vigorously tap parmesan cheese out of the can (If you can't get your hands on fresh parmesan, use Roma brand) and cover the pepperoni with parmesan. Don't worry if clumps of cheese fall out of the can as you're sprinkling, because there is no such things as using too much cheese when you make pizza. Just rub the clumps into the pepperoni. Now grab your bowl of diced peppers and onion and pop one of the freshly diced Red bell peppers into your mouth and crunch on it as you heap the diced peppers and onions onto the crust. Again, take the palm of your hand and spread it out evenly covering the entire pie as you create another layer. Now it's time for the cheese. Before you do anything with it, pick up the bowl of mozzarella and close your eyes and inhale deeply. Then open your eyes and reach into the bowl and grab a handful of it and heap piles of cheese onto the pie until it resembles a little burial mound. Don't worry though, because this is one pizza that will definitely be resurrected and ascend into a watering mouth. Now take the sausages and push them into the cheese covering the entire surface. When this is finished, take the slices of pepper jack cheese and cover the entire surface of the pie. Now it's time for the Big Finish. In the middle of each pizza, using the olives, make a cross that covers the entire surface. When this is finished, heat each pizza in the microwave for approximately five minutes. If you like your crust to be softer, cook each one around four. When the pizza comes out of the oven, let it cool, then say a prayer over it before eating. If these instructions are followed properly, this meal is Heavenly. Here's the final version of Jeff's poem, read by Steve Hussy and set to music by the always excellent Gil De Ray. Click here to listen or download the track.